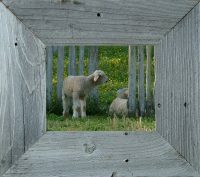 -and fits your favorite tissue boxes. 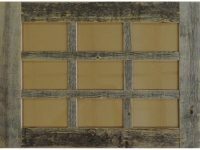 This 5.5″ X 5.5″ X 6″ (Outside Dimensions) one-of-a-kind rustic barn wood tissue box holder fits most square tissues boxes including Kleenex, Puffs, Kirkland brand and more(inside dimensions: 4 3/8″ X 4 5/8″ X 5.5″). 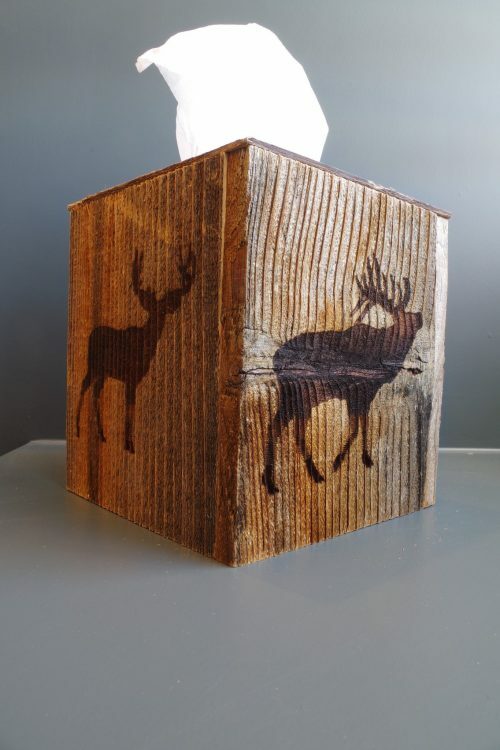 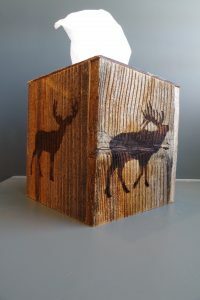 Made from naturally weathered, reclaimed wood, this Kleenex box cover is carefully constructed with glue and pin nails and laser engraved to feature a moose, an elk, a bear, and a buck. 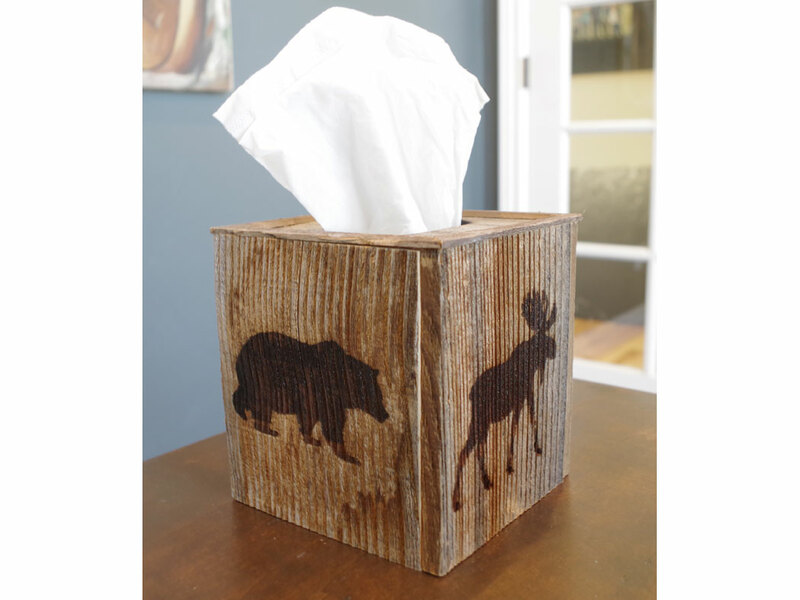 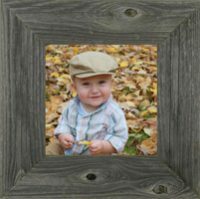 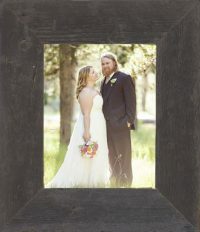 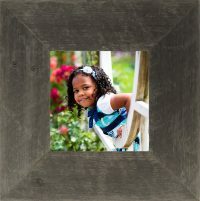 Whether you are sprucin’ up the homestead, cleaning up the cabin, or gussying up the getaway house, you can’t go wrong with the All Barn Wood tissue box holder. 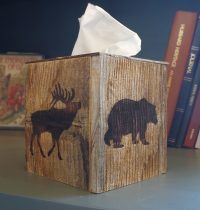 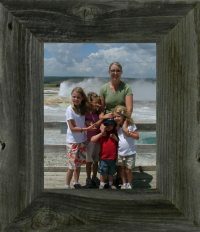 Just make sure you get enough of them to cover all your tissues–you don’t want any of your tissue boxes feeling left out.